Serious Male Novelist Jonathan Franzen would like you to know he still has zero respect for Jennifer Weiner, a popular writer whom he admits he hasn't read but considers insufficiently serious for his manly tastes. This time, Franzen accused Weiner—who talks often about sexism in the book world—of "freeloading on the legitimate problem of gender bias in the canon." The Franzen-Weiner grudge match goes back, at this point, at least five years, to when Weiner and Jodi Picoult pointed out that Franzen's novel Freedom, which was about a family who has Secrets and Feelings, was getting a slightly more respectful critical reception than a similar book written by a woman would have done. At the time, Franzen agreed that there was an imbalance, telling the Guardian, "The categories by which we value fiction are skewed male, and this creates a very destructive disconnect between the critical establishment and the predominantly female readership of novels. That's inarguable." 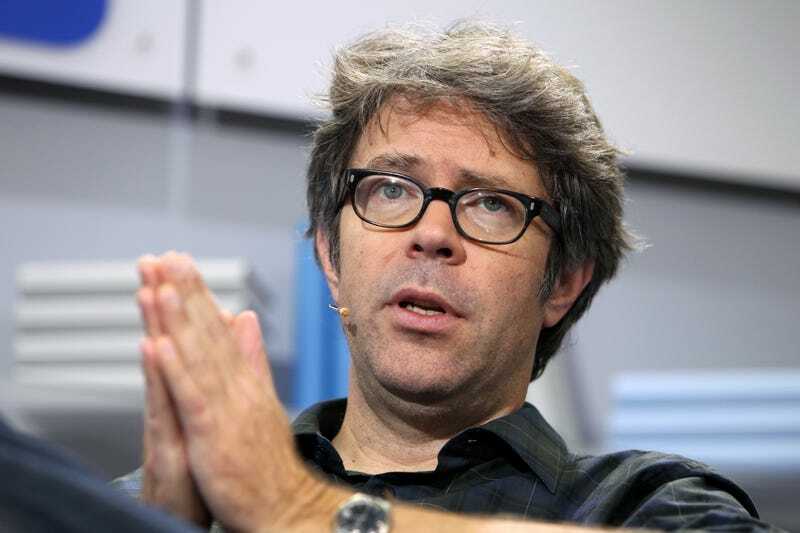 By 2013, Franzen was tired of talking about the whole sexism thing, writing in a rather peevish letter to the New York Times, "There may still be gender imbalances in the world of books, but very strong numbers of women are writing, editing, publishing and reviewing novels." Weiner's whole point, though, is that those women writing books—even incredibly popular books—still aren't afforded the same critical attention. In a New Yorker profile, she put it this way: "Just as I want plus-size women visible, and valued, and loved in my books, so do I want books like mine visible and valued, if not loved, by a critical establishment that's still too rooted in sexist double standards, still too swift to dismiss women's work as small, trivial, unimpressive, and unimportant." JF: What is it? She is asking for a respect that not just male reviewers, but female reviewers, don't think her work merits. To me it seems she's freeloading on the legitimate problem of gender bias in the canon, and over the years in the major review organs, to promote herself, basically. And that seems like a dubious project that is ideally suited to social media, where you don't actually have to argue, you just tweet. Where is her long essay about this, where she really makes a case? She has no case. So she tweets. SL: No case for herself, you're saying? SL: But I think she also advocates for other female authors whose work might be termed more "literary" rather than "commercial." SL: She's written that because she perhaps has less at stake in the literary community than women who write more "literary" fiction, she's become the de facto spokeswoman. JF: That's unfortunate, because it's an important issue and she's an unfortunate person to have as a spokesperson. JF: I have yet to hear one person say, "Oh, she's really good, you should read her." And basically if two people say that about a book I'll read it. I know no one, male or female, who says, "You've got to read Jennifer Weiner." It's not clear who Franzen believes might make a better spokesperson for gender bias, or where the "legitimate problem" of sexism in literature actually lies. Certainly not with him, though. No, sir.